Piqua, Ohio, March 16, 2016 – Hartzell Propeller Inc., working with American Champion Aircraft Corp., has received Supplemental Type Certificate approval from the Federal Aviation Administration for installation of the company’s new carbon fiber Trailblazer constant speed propellers on Scout aircraft. Included in the STC are 8GCBC Scout and Denali Scout aircraft. The Hartzell 80-inch, swept two-blade, advanced structural composite Trailblazer prop replaces either the two-blade aluminum Hartzell, or the two-blade wood core propeller, available on Scouts from the factory. “We offer two-blade versions of our new swept-tip Trailblazer prop for a number of experimental and certificated backcountry optimized aircraft, now including the STOL Scout,” said Hartzell President Joe Brown. 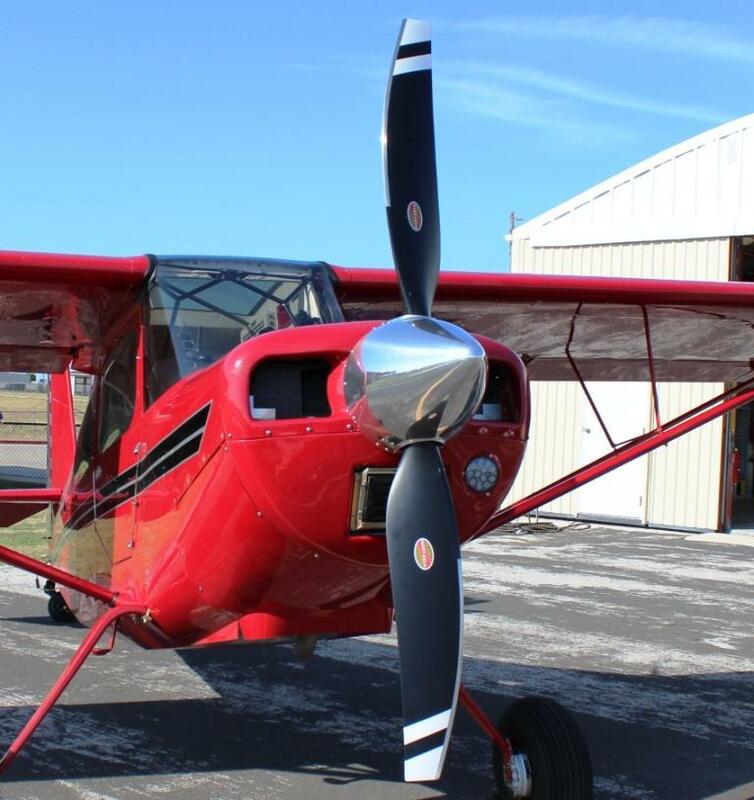 “The Trailblazer prop has exceptional performance and I fly it myself,” he added. The new unlimited life Trailblazer provides an increase in climb performance compared to factory-installed propellers. The Hartzell Trailblazer’s all carbon fiber construction features a field replaceable nickel-cobalt leading edge, ensuring it can withstand demanding backcountry and bush flying. “We have enjoyed our working relationship with Hartzell Propeller, and this latest STC provides our Scout flyers with a lightweight higher performance option to make their flying even more fun, flexible and reliable,” said American Champion President Jerry Mehlhaff Sr.
New Hartzell Trailblazer swept-tip propellers maximize performance of numerous aircraft, both certified and amateur built, specifically designed for bush and backcountry flying. The two-blade version is compatible with most Lycoming 360 and 390 series engines, requires no placards or restrictions, and is not RPM limited. Carbon composite, due to its incredible strength and light weight, permits Hartzell to optimize blade chord thickness and sweep while achieving maximum strength. The strong structural composite construction of the carbon fiber blades and their sleek aerodynamic design boosts performance. All are approximately 20 percent lighter than comparable propellers with aluminum blades. The thin, stiff airfoil design, only possible when utilizing aerospace grade composites, allows improved low speed thrust.